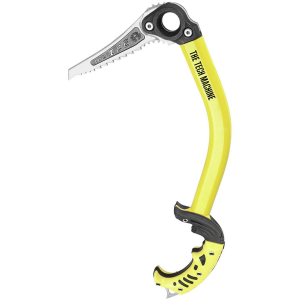 The Grivel Light Machine is designed primarily for technical mountaineering and for ice climbing. Interchangeable ICE pick is tapered at the tip (3 mm) for easy penetration, even in cold ice. 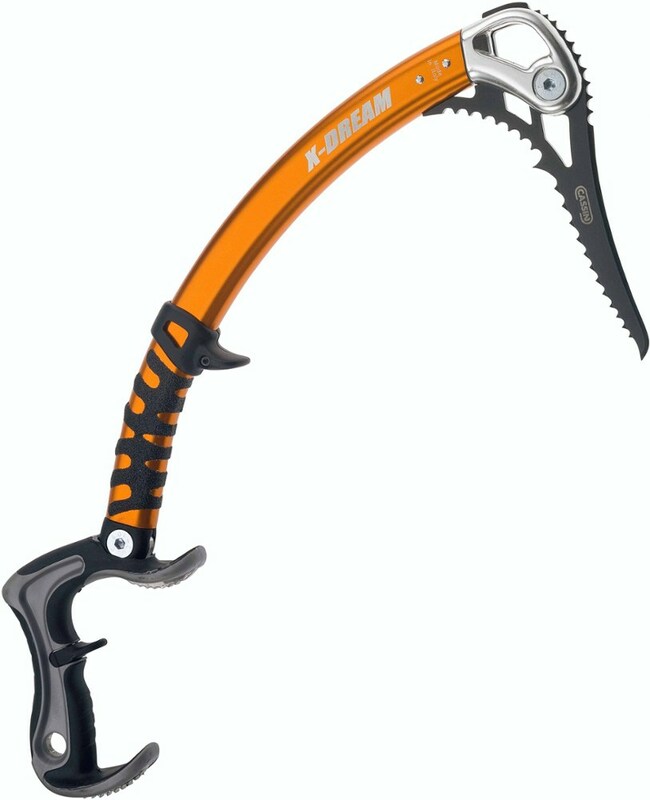 The stout Mix blade, 4.2 mm, will accept hooking on both ice and rock. 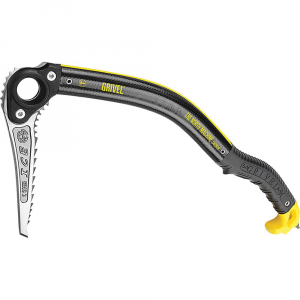 The Light Machine Ice Tool is part of Grivel's new Machine Series of ice tools that are designed specifically for technical mountaineering on some of the world's toughest routes. Chromoly steel is durable and lightweight, and it won't give up on you when you need it most. A rubber shaft grip ensures good grip, while the attached ferrule provides knuckle protection and allows for easier rests. 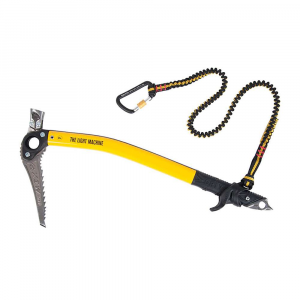 The attached leash helps to safeguard against dropping your tool in a bad situation.